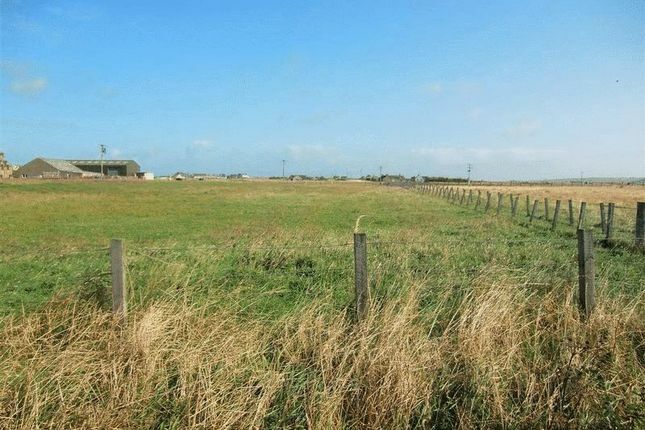 Plots for sale in the popular coastal hamlet of Scarfskerry. Each plot has planning in principle for a house with garage and access road. The plots are approximately two thirds of an acre in size and all plots are accessed directly off the public road. Mains water and power supplies are nearby and a private drainage system will need to be installed on each plot. The plots are situated on a scenic route. Scarfskerry boasts an attractive harbour and offers coastal walks along virtually the entire length of the shoreline. To the western end there is a quiet beach. Bus services pass through the village and there is a hotel and small shop in the adjacent village of Mey. Crossroads Primary School is just over a mile away. Property descriptions and related information displayed on this page, with the exclusion of Running Costs data, are marketing materials provided by Pollards Estate and Letting Ltd, and do not constitute property particulars. Please contact Pollards Estate and Letting Ltd for full details and further information. The Running Costs data displayed on this page are provided by PrimeLocation to give an indication of potential running costs based on various data sources. PrimeLocation does not warrant or accept any responsibility for the accuracy or completeness of the property descriptions, related information or Running Costs data provided here.